​Paul Ducksbury Ltd was founded in 1972 by Paul & Eileen Ducksbury. We are based in Askham, North Nottinghamshire. ​Contract services are offered for all of Nottinghamshire and also the surrounding counties of Lincolnshire and Yorkshire. 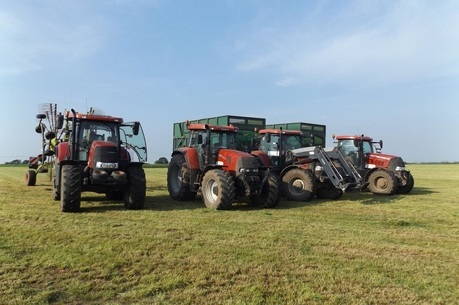 We provide a reliable service to agriculture and the amenity sector with the use of our trained, skilled workforce and state of the art machinery. As well as providing a complete service to arable and livestock farmers, we carry out amenity work for local authorities, including the RAF, Sherwood Forest Trust and a number of civil engineering contractors. ​We work closely with our Health & Safety consultants, Safety Revolution Ltd, to provide a safe working environment for our workforce, our customers and the general public. We are also proud to say we are accredited by the NAAC Assured Land Based Contractors Scheme.